An essential element of the dining room is the table. Many questions come to mind while one is deciding what type of table to select for the dining room. What material do we want to use? What should the capacity of the table be? What is the ideal position? These are just a few of those questions. 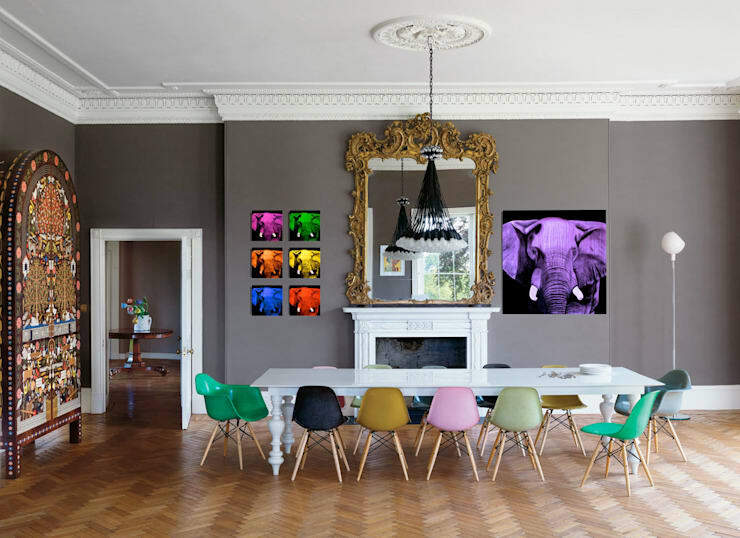 In our article today we are going to focus on whether you should choose a round dining table or a rectangular one. Some people prefer round tables, while others find them much less functional than rectangular or square ones. 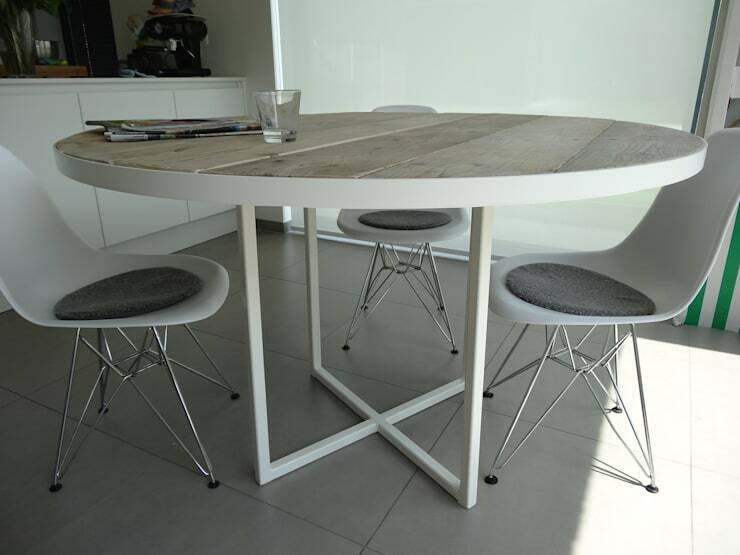 However, a round or rectangular table has many advantages and as well as some drawbacks. The first thing that you will have to ask yourself while selecting a dining table is regarding the placement and location of the furniture. 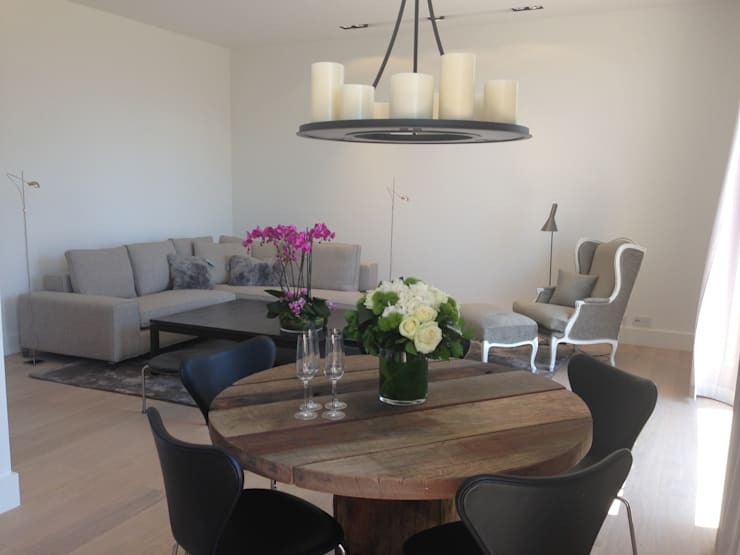 A round dining table occupies space in a very particular way making everything revolve around its position. That is why when you decide for a round table you must take into account this detail. 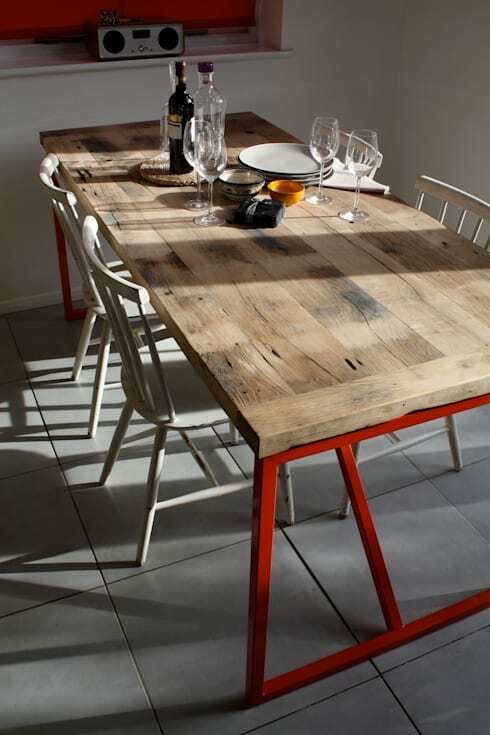 Be aware that you need enough space around the table so that the diners can roam around without being uncomfortable. 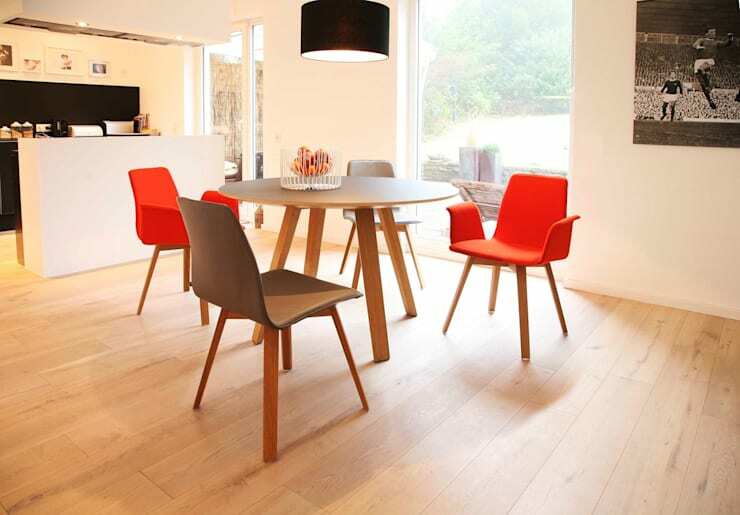 This point also answers your question of which occupies less space a round or rectangular table. However, for the elongated rooms, the rectangular tables are perfect. They occupy a larger area and offer way more for less. 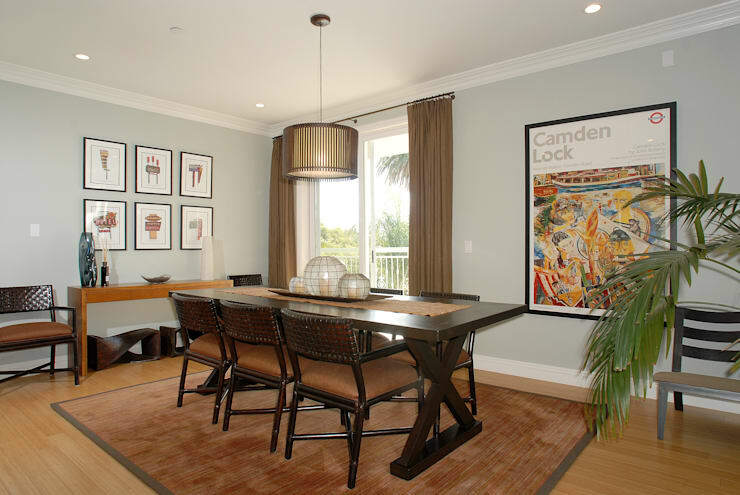 In dining rooms with difficult distributions, these tables can stick to the wall. It is an advantage which is not supported by the round dining tables. Another point to keep in mind when choosing a round or square table for dining the room is how it will influence your meals and celebrations. A round table has a significant advantage when compared to the rectangular ones. They generate a higher sociability since all diners are equally important and there are no hierarchies. As we see in the photograph, it is a table for five diners in which none of them is above the other. However, a round dining table cannot be huge as it would take up a lot of space. In case you want to seat more diners, it would be appropriate to have an elongated table. The rectangular dining tables have an advantage that can compete neither with the round nor the square ones. This benefit is their capacity. Imagine if we had to place all the chairs seen in this picture around a round table. It would be the perfect solution. But the diameter of the table would be so long that the interior space would not be attainable for any of the diners. However, an elongated table manages to create a niche for more people to eat on an inferior surface. Therefore, if you are looking for a dining table that is ideal for grand celebrations, you will have no choice but to surrender to the beauty of the rectangular ones. Another advantage of round tables compared to the rectangular ones is that they don't have corners. It makes them more comfortable and way less dangerous, especially when placed in smaller rooms. These furniture pieces can also save you from the sharp beaks being nailed to the thighs as with a round table there are no corners what so ever. The round tables are an aesthetic option, with some definite advantages. They are more welcoming, versatile, social and less annoying for diners. The legs are less uncomfortable, and because there are no corners, you can avoid accidents. However, they require an extraordinary space and are not suitable for crowded celebrations. But it is true that the round tables have something unique. They are pleasant and can invite diners to the conversation since all the guests are sitting at an equal distance from each other. The rectangular tables are the most common which shows that they are practical, functional, and comfortable. On the one hand, they are perfect for elongated dining rooms. While on the other hand, they allow many more diners to sit comfortably in less space. In case you have a small area, you can place the table stuck to the wall. It's something that one can not do with a round dining table. But in the end, you can not leave out an important point which is your own taste. You need to evaluate all the advantages and disadvantages of each table. Also before finally choosing a round or square table it should reach your heart in some way. Selecting a square or round table, in fact, seems a bit like love. You could not say why, but when you're in front of the perfect table, you just know.